The world community of hologram hackers, let’s face it… is really small! We should all get to know each other!! Then, if we ever meet in person it will be all the more welcoming! Tell us about yourself and what got you into Holograms! What makes you tick? Post links to your website or post pictures of your work! 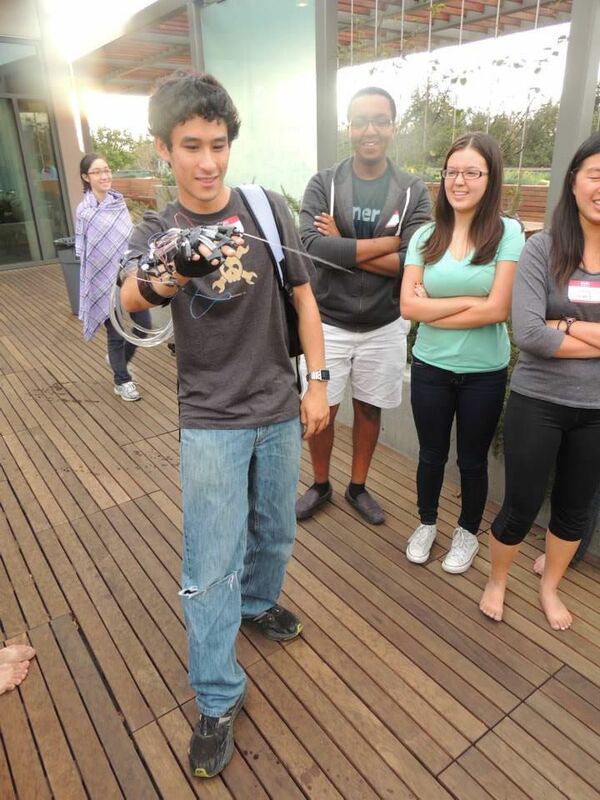 I’m Dez, coder at Looking Glass and the primary developer of our Hypercube tools. For about 14 years I have been a video game developer. Then I guess I was ready for something a little different and I met some insane hardware nerds (I am talking about Alex and Shawn) that had begun a startup called Looking Glass. They wanted to hire me. I told them they were nuts, but I loved them, and so I agreed! Over time, I have come to consider them less crazy. But is it because I became more crazy? Now, I am so happy to be helping to design and build such amazing things! My name is Nolan, and I’m a developer/designer who’s worked with a lot of weird cool future tech, like AR, VR, and now volumetric & holographic displays! Games are my one true love, especially games that blend digital and physical elements. So I make video games at work and host a weekly-to-fortnightly Board Games and Bars event at night! I first came to Looking Glass to make games that teach people how to interact with their new 3D displays, since then I’ve gotten the opportunity to make a ton of cool prototypes. I love pokemon but hate pokemon go ask me anything. Hello friends of the hologram! 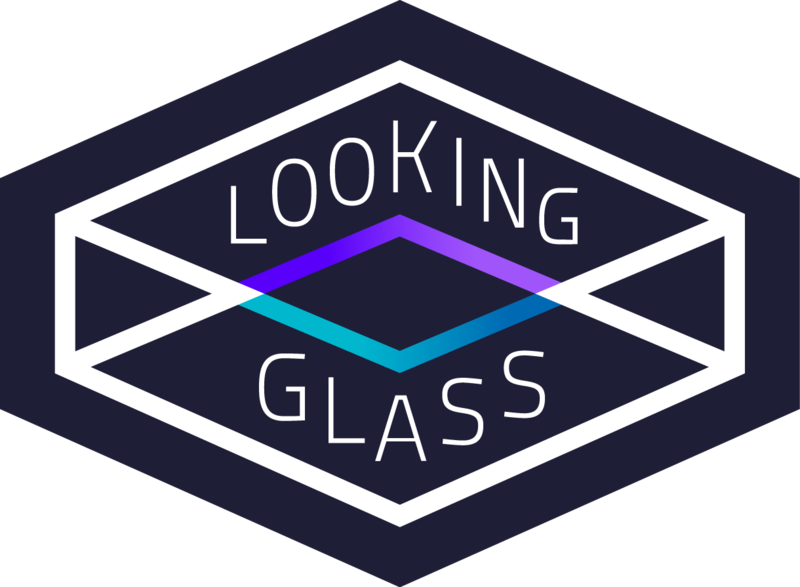 My name is Shawn and I’m a cofounder and CEO of Looking Glass. I write “Inventor” as my profession on the forms they give me in Customs. And I made a fake window of red and blue tinted plastic overlooking a 3D projection of Manhattan in my college bedroom, which happened to be in a walk-in closet. I used to make traditional holograms (aka laser interference pattern photos) in a giant optical sandbox that my Dad helped me build in high school until I got fed up with how different traditional holograms were from the moving, interactive “holograms” I’d seen in movies like Star Wars, Big Hero 6, Minority Report, etc. (My disappointment in traditional holograms captured in this archival Kickstarter footage at 2:40) Now I have the incredible opportunity and privilege to chase that cinema dream of the hologram with my fellow nerds inside Looking Glass and with the small but growing community of hologram hackers around the world. See you in the future! (and in Brooklyn and Hong Kong, which I hop between a lot). Hi there, it’s Alvin here. It’s kinda hard to say what I am in the Looking Glass team but I spend most of my time reading academic papers, running random backyard experiments and putting together prototype systems. I do calculations and sketches like a normal mechanical engineer would but occasionally, I like to close my eyes and conduct some in-head simulations. I do so while waving my hands in the air as if I’m moving stuff in my head so that my colleagues know that I am actually awake and presumably working. And I eat lots of snacks while doing the things mentioned above. For my personal interest and occupation requirement, I can say that I am considerably familiar with what’s happening inside the various Looking Glass systems. Should you ever feel like talking about the science behind our systems or are interested in knowing how things work, feel free to bring over a chair! Oh, and some potato chips as well! My name is Ben (Benjamin Poynter). I work as an assistant professor with the New York Institute of Technology in Computer Graphics and Animation and as of two months ago a game-app-prototype developer with Looking Glass technology. Thus, I am of two hemispheres: the academic and the creative. At several points the worlds intersect; which gives me great interest in day to day activity and observation. I also love sports (baseball, pro wrestling), lifting weights, exercising, games, and my wife. The former give me great perspective on a personal and professional love of mine: animation. The body in struggle is an honest mind. They reveal motion which reveals character. I’m enjoying the hell out of working on Looking Glass projects. Anytime I am thrown into a creative realm, I am in a meditative state and have a peaceful mind. Whether this be graphite on paper sitting in a hammock on the West Coast, knee deep in 3D rigs and animations on the East Coast, or working with wonderful students in the heart of Asia. I’ve recently created projects at LG ranging from a colorful political survival horror title (“Marshall’s Theory”) and several prototypes including a 2.5-D aerial platformer (“Prayer Cog”) and a furnishing ballet dancer work (“Untitled”, for now). Much more to come. I’ve been making and showing in-depth art installations, animations, games, talks, and new media works for about half a decade now between countries. I always am knee-deep in work or one project or another, but when I have a spare moment I am all too happy to chat. I am Roberta Jane, from SnakeMonkey studio. SnakeMonkey is making 3D viewing lenses based on integral photography. Recently, I made an integral 3D camera lens. It works! Made a hologram of a ceramic duck way back when, it was fun, too simple. Gosh, true holograms have raced forward from the old film things, last I peeked in, with powerful pulsed lasers, and some folk making mode stabilized diode lasers for holography. Phase conjugate mirrors were a hot item of pursuit back then, too, a dream component of insane laser ideas. How mysterious, to reverse the path of light, almost like reversing time, unraveling chaos back to some element of reality. Just a student aide, but my name on a paper: (Bandgap-resonant optical phase conjugation). So, exciting to see a fine grain retro-reflector component in the LookingGlass display. My name’s Kyle, I’m a developer who mostly makes games but I find myself making weirder and weirder stuff and solving weirder and weirder problems here at Looking Glass. It’s pretty sweet. My favorite game will probably always be Chrono Trigger, but more recently I’ve also been in love with MGSV, Breath of the Wild, and Mario Kart 8. Even though I’ve been inundated with 3D since joining Looking Glass, I still feel fairly new to all things 3D display. So I’m super curious to branch out to the 3D and/or hologram hacker community at large and see what people are working on! Welcome to the World’s Friendliest Hologram Hacker Community! - READ ME FIRST! I’m Alec, and I’m a Brooklyn-based engineer and musician. I’ve always been fascinated by interfaces, and I’ve played around with building a variety of input devices for fun: a glove that tracks finger angles via bend sensors and sends MIDI control channel signals, an arm sleeve that captures muscle activation via EMG to send MIDI notes, a sleeve that attaches to a drumstick and relays motion capture and contact audio wirelessly to … you guessed it, send MIDI control channels signals and notes. I’m Simon, Looking Glass Factory’s summer intern! 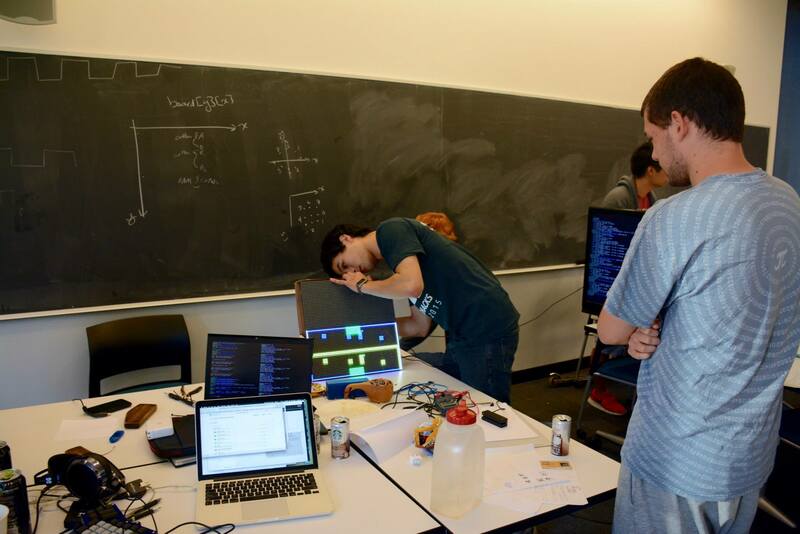 I study Game Design at the NYU Game Center, and I’m stoked to be making some hecking cool holograms. I love music and games, especially when they overlap. My dream is to make some wild interactive installations using some of this tech. Excited to learn from everyone on the forum! I’m Prav. Nice fellow, programmer and filmmaker. Shift between Miami, LA and Silicon Valley frequently. I have a movie coming out on Netflix this month and am building AR/VR apps. Awesome!! Great to meet you @pravvy!!! What’s the movie? Would love to check it out! Well, I ask as my 7-year-old son asks me: Is this really OBLIGATORY? So, guessing the answer is YES… I will introduce myself. I will post my StackOverflow profile info and explain it. So, time for an explanation. First and foremost, I enjoy life in all its ways and I love nature and its beauty. Second, I care for my family, fathers, sister, wife, son & daughter, cousins, uncles & aunts, neighbors… the list is endless as the world is a BIG family. Third, I thrive with programming, since I started learning it when I was about 10 years old, and keep doing it for my work and hobby. Fourth, music is my passion since I was young. I learnt to play the recorder, then I learn to play guitar and last years piano. Currently learning Ukelele, and well, singing. I am not a virtuoso, but can sing and play songs. I plan to release a music album in the coming years. Fifth, I am in love with graphics, because it is kind of my lost love. I played and loved video games since the end of seventies and eighties. I am from the Pong, Galaxian, Pac-man, Atari 2600 era. I learned Z80 when I was 16, in order to learn to code them. I watched the first Pixar shorts like André and Wally B and Luxo Jr. and other 3D animation work in the late night avant-garde TV programs in Spain. Later I learned some 3D Studio 4, Max, Blender and some other digital paint, video and compositing programs like Photoshop, Combustion, Final Cut and made some small and humble works. Though I never did video games or 3D movies professionally. Sixth, I like to practice many sports. I have practiced and played soccer (the national sport in Spain), tennis, running, swimming, gymnastics, rugby… Though lately I only practice swimming, some light-workout/stretching-yoga and tennis. Well, that is enough! Isn’t it? I currently work for a Telecom multinational company. Though I have worked for other Telecom companies and in the IT/Software industry. I have worked mostly for telecom products (switching systems, gateways, routers), though I also did some work for a railway system, IT software and lately M2M and IoT stuff. BTW, I am an Emacs fan and if you have never tried it, you should. I will just say: org-mode. Next to the last words… What am I doing here? Well, a promotion of a Seeed L3D Cube (8x8x8 Full Color Kit) that came to my Inbox through a Massdrop mail brought me here. Who knows… May be this is the path to join my lost love with my thrive with programming. I have seen here some people doing video games and VR/AR stuff that is of my taste. Or may be I could order one of the L3D Cubes or may be the HoloPlayer One. End of OBLIGATORY Introduce Yourself Thread! Welcome! and Nice to meet you!!! Also +1 respect for coding in assember! Holo There! I am Angela! I jumped into the holo-revolution designing experiences and new ways to interact with holograms here at Looking Glass. I like to talk so much of my experimentation with holograms has been finding ways to communicate with them verbally and through gestures. I perform comedy in NYC so I am looking forward to one day sharing the stage alongside a holo-tainer like myself. Hello all. It’s me The Josh Craig aka The Mayor bka TJC. I’m into audio-visual experimentation and manipulation through evaluations in a holographic nation. There’s a lot I can and can’t say about myself but I will say this, I love 3D. Hi, I’m Evan. I just graduated college with a general engineering degree. I’m interested in interface, interaction, and game design, but to date most of my biggest projects have been hardware. I also enjoy writing short fiction and poetry, disproportionately about household appliances. I’m stationed at the Looking Glass offices in Brooklyn until at least October, where I’m currently working on a library to integrate Nintendo Joy-Cons with the HoloPlayer One. I recently graduated from WPI with a B.S. in Mathematics, but went to Voxel8 for a while to work on materials science and 3D printing. These days I do pure materials science for some larger companies, though I have never actually taken a traditional chemistry class (quantum chemistry FTW!). While I save money for graduate school, I am looking for a side-project to keep my mathematics skills sharp, and digital holography seems like a great option towards that end. I want to see this technology developed to more wide-spread use anyway. Looking forward to helping out with some of the mathematical problems in 3D, like voxel dithering or various projections. Hi Michael! Welcome to the wonderful world of hologram hacking! (incl. both traditional holographic and non-holographic approaches that reach towards the dream of the hologram) If you happen to be in Brooklyn this weekend shoot me at note (smf@lookingglassfactory.com) - we’re hosting a first hackathon using the new holoplayers at our lab.